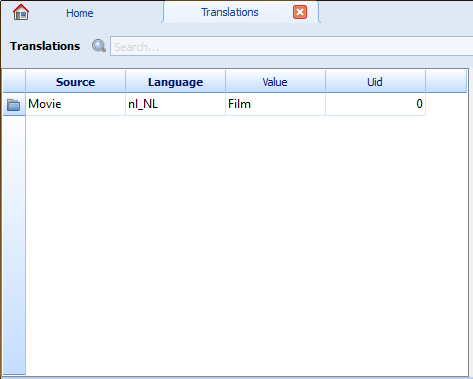 In this tutorial we will create a fully functional movie database application with Camelot. We assume Camelot is properly installed. 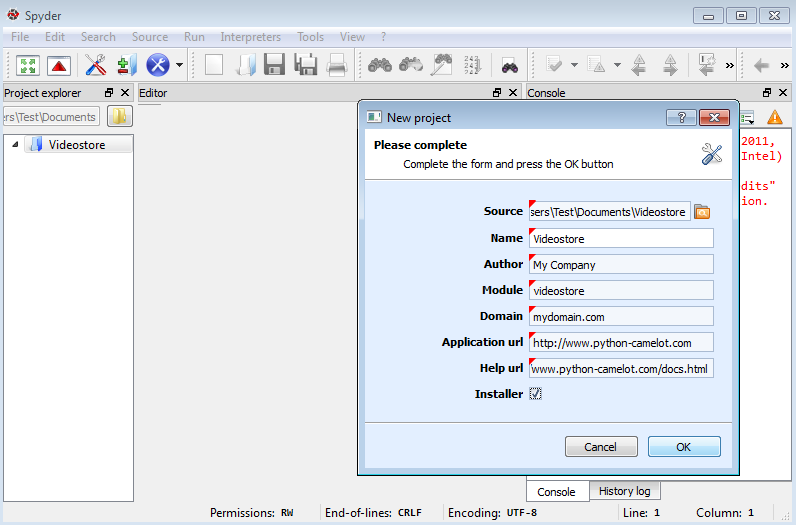 An all in one installer for Windows is available as an SDK to develop Camelot applications (Python SDK). 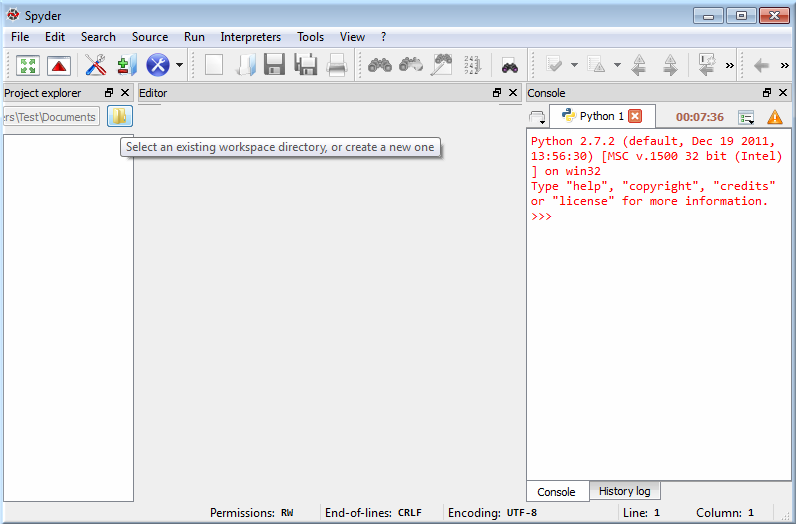 In this section, we will explain how to setup the Spyder IDE for developing a Camelot project. If you are not using Spyder, you can skip this and jump to the next section. 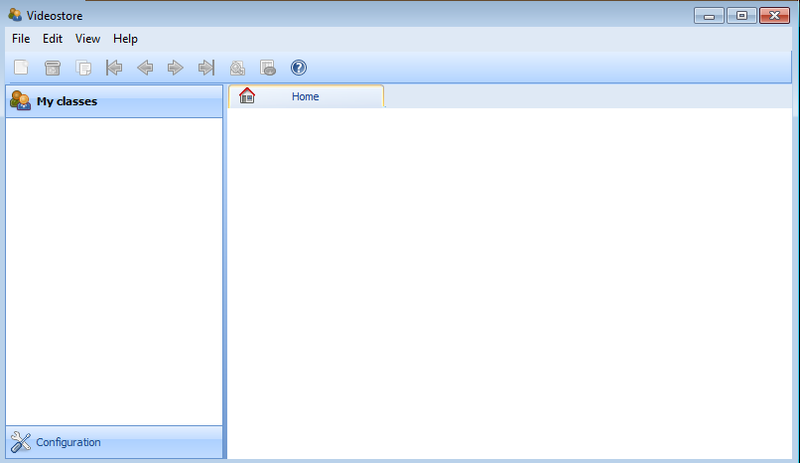 In the Project Explorer change the workspace directory, to the directory where you want to put your Camelot Projects. Enter Videostore as the project name. 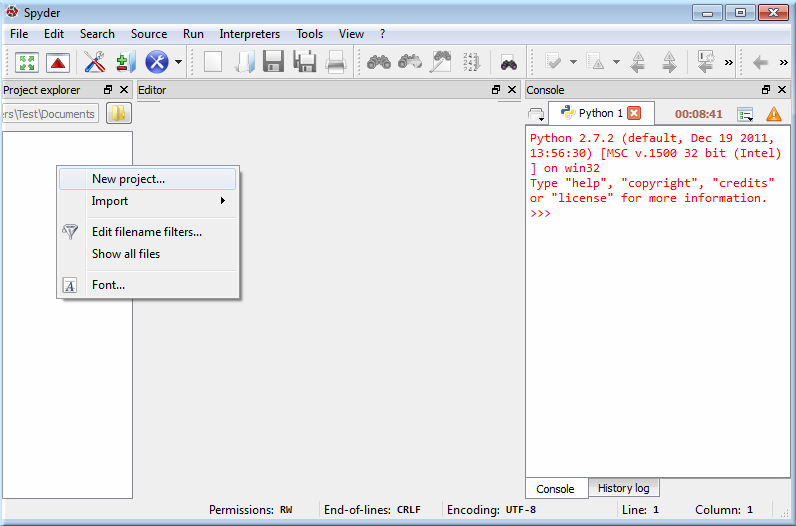 A dialog appears where the basic information of the application can be filled in. Select the newly created Videostore directory as the location of the source code. Press OK to generate the source code of the project. The source code should now appear in the selected directory. To run the application, double click on the main.py file in Spyder, which contains the entry point of your Camelot application and run this file. The application has a customizable menu and toolbar, a left navigation pane, and a central area, where default the Home tab is opened, on which nothing is currently displayed. The navigation pane has its first section expanded. The navigation pane uses Sections to group Actions . Each button in the navigation pane represents a Section , and each entry of the navigation tree is an Action . Most standard Actions open a single table view of an Entity in a new tab. Notice that the application disables most of the menus and the toolbar buttons. When we open a table view, more options become available. Entities are opened in the active tab, unless they are opened by selecting Open in New Tab from the context menu (right click) of the entity link, which will obviously open a new tab to right. Tabs can be closed by clicking the X in the tab itself. Each row is a record with some fields that we can edit (others might not be editable). Let’s now add a new row by clicking on the new icon (icon farthest the the left in the toolbar above the navigation pane). We now see a new window, containing a form view with additional fields. Forms label required fields in bold. Fill in a first and last name, and close the form. Camelot will automatically validate and echo the changes to the database. We can reopen the form by clicking on the blue folder icon in the first column of each row of the table. Notice also that there is now an entry in our table. That’s it for basic usages of the interface. Next we will write code for our database model. Let’s first take a look at the main.py in our project directory. It contains a my_settings object which is appended to the global settings . The Global settings object contains the global configuration for things such as database and file location. Now we can look at model.py. Camelot has already imported some classes for us. They are used to create our entities. Let’s say we want a movie entity with a title, a short description, a release date, and a genre. The complete source code of this tutorial can be found in the camelot_example folder of the Camelot source code. Movie inherits camelot.core.orm.Entity, which is the declarative base class for all objects that should be stored in the database. We use the __tablename__ attribute to to name the table ourselves in which the data will be stored, otherwise a default tablename would have been used. Our entity holds four fields that are stored in columns in the table. For more information about defining models, refer to the SQLAlchemy Declarative extension. The different SQLAlchemy column types used are described here. Finally, custom Camelot fields are documented in the section camelot-column-types. We made Admin an inner class to strengthen the link between it and the Entity subclass. Camelot does not force us. Assign your EntityAdmin class to the Admin Entity member to put it somewhere else. 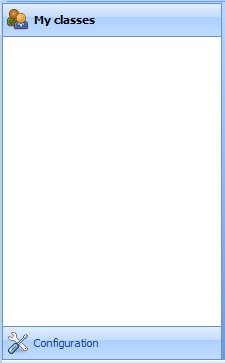 verbose_name will be the label used in navigation trees. The last attribute is interesting; it holds a list containing the fields we have defined above. As the name suggests, list_display tells Camelot to only show the fields specified in the list. list_display fields are also taken as the default fields to show on a form. The fields displayed on the form can optionally be specified too in the form_display attribute. We also add a __unicode__() method that will return either the title of the movie entity or 'Untitled movie' if title is empty. The __unicode__() method will be called in case Camelot needs a textual representation of an object, such as in a window title. Let’s move onto the last piece of the puzzle. We are now working with application_admin.py. One of the tasks of application_admin.py is to specify the sections in the left pane of the main window. The created application has a class, MyApplicationAdmin. This class is a subclass of camelot.admin.application_admin.ApplicationAdmin, which is used to control the overall look and feel of every Camelot application. which will display two buttons in the navigation pane, labelled 'My classes' and 'Configurations', with the specified icon next to each label. And yes, the order matters. The constructor of a section object takes the name of the section, a reference to the application admin object, the icon to be used and the items in the section. The items is a list of the entities for which a table view should shown. Camelot comes with the Tango icon collection; we use a suitable icon for our movie section. We can now try our application. We see a new button the navigation pane labelled ‘Movies’ . Clicking on it fills the navigation tree with the only entity in the movies’s section. Clicking on this tree entry opens the table view. And if we click on the blue folder of each record, a form view appears as shown below. That’s it for the basics of defining an entity and setting it for display in Camelot. Next we look at relationships between entities. Even if we define only the name column, Camelot adds an id column containing the primary key of the Director Entity. It does so because we did not define a primary key ourselves. This primary key is an integer number, unique for each row in the director table, and as such unique for each Director object. Next, we add a reference to this primary key in the movie table, this is called the foreign key. This foreign key column, called director_id will be an integer number as well, with the added constraint that it can only contain values that are present in the director table its id column. We also inserted 'director' in list_display. To be able to have the movies accessible from a director, a backref is defined in the director relationship. This will result in a movies attribute for each director, containing a list of movie objects. This takes care of the relationship between our two entities. We have just learned the basics of Camelot, and have a nice movie database application we can play with. In another tutorial, we will learn more advanced features of Camelot.